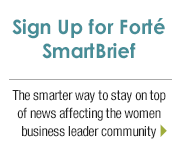 Forté Foundation SmartBrief is a free monthly e-newsletter, a dose of inspiration for current and future women business leaders. 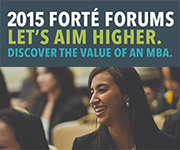 It is one more benefit to help Forté Foundation members get connected and stay informed on current and emerging issues for women business leaders. Subscribe to SmartBrief today and encourage your peers, colleagues and business associates to do the same. August 28, 2013 - Guardian CEO: Am I doing something interesting? 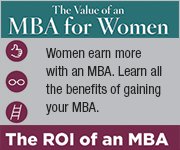 June 26, 2013 - Why aren't more women seeking MBAs? April 24, 2013 - Who is responsible for promoting more women as leaders? July 25, 2012 - Does Marissa Mayer need to be the Steve Jobs of Yahoo? April 25, 2012 - How can we help more women work their way to the top? 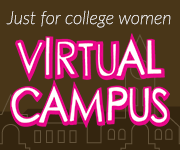 Sign up for our monthly briefing with news stories to inspire women business leaders.